Since very early in American culture, a farmer’s endless hard work has been an example to all of us, and on this day – National Farmer’s Day – we thank you for the many contributions to our nation. 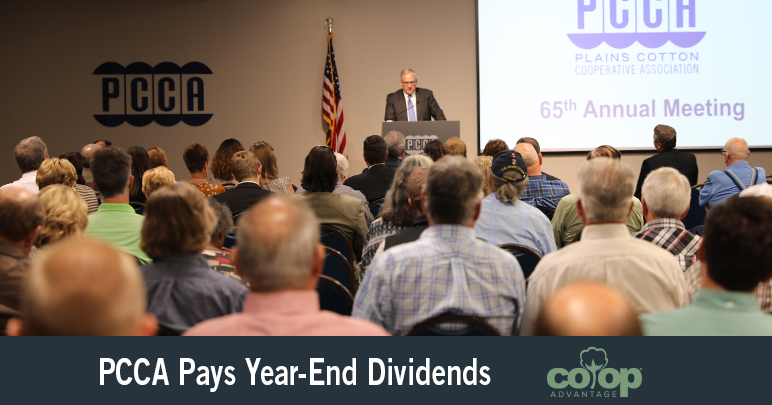 The Co-op Advantage®️ takes it one step further this year to recognize producers who go above and beyond to sacrifice additional time to serve on local and regional co-op boards. All grower-owners embrace volunteerism, but it is the most humble who take that extra step. PCCA Co-op Board Member and New Home, Texas producer Dahlen Hancock is one such example. Hancock, who also serves as current chair of Cotton Incorporated, past chair of Cotton Council International and past chair of his local co-op gin board, doesn’t see serving on boards as a sacrifice. In fact, he sees it as doing what he needs to do for his lineage, specifically pointing up to his forefathers and ahead to the next generation of his family. Hancock’s wife of 32 years, Jody, is another extension of support in his time as a board member. No doubt, he applies his passion in everything he says, and in his commitment to what he does. Equally passionate is FCC Co-op Executive Board Member and producer Freddie Maxwell of Sudan, Texas. When asked why he spends time on a board outside of a 24/7, 365-day job as a grower-owner, he was quick to answer. Being part of the co-op system, Maxwell explained, allows grower-owners to follow through from seed to bales to a pool marketing system. 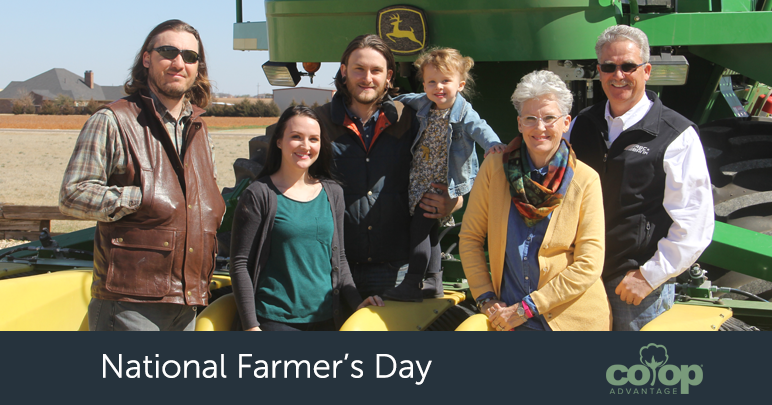 This National Farmer’s Day, we appreciate all producers. Today, especially, we thank those who go one step beyond to sacrifice additional time to serve on local and regional co-op boards. Thank you for being The Co-op Advantage.